The Reed Warbler is a reed bird, but fortunately it is still quite visible. When singing it gradually climbs quite high in the reeds. 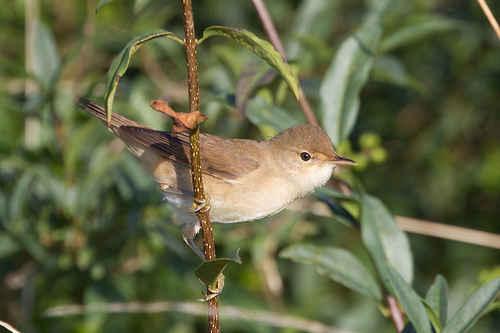 The Reed Warbler is smaller and sings higher in tone. 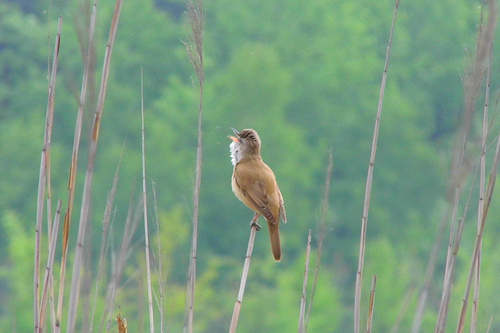 The Great Reed Warbler is louder en more rough in its song.